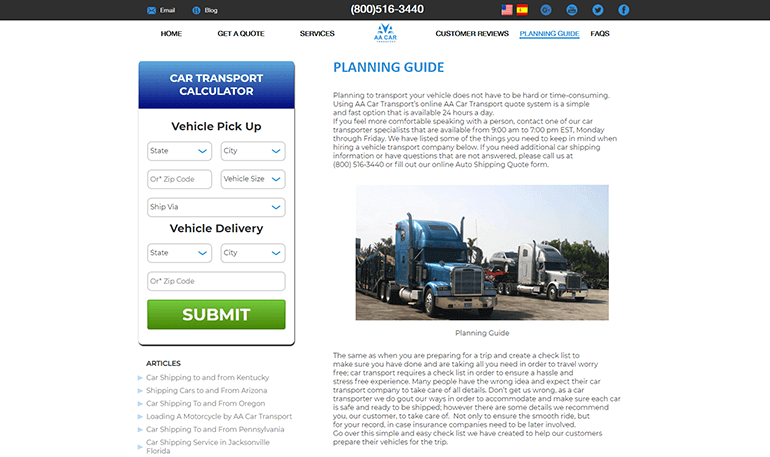 The task was to build a unique custom website with advanced functionality (calculating the shipment costs based on multiple parameters). Feature: a separate mobile version. A custom theme was developed to avoid all the excessive elements and ensure fast load time. 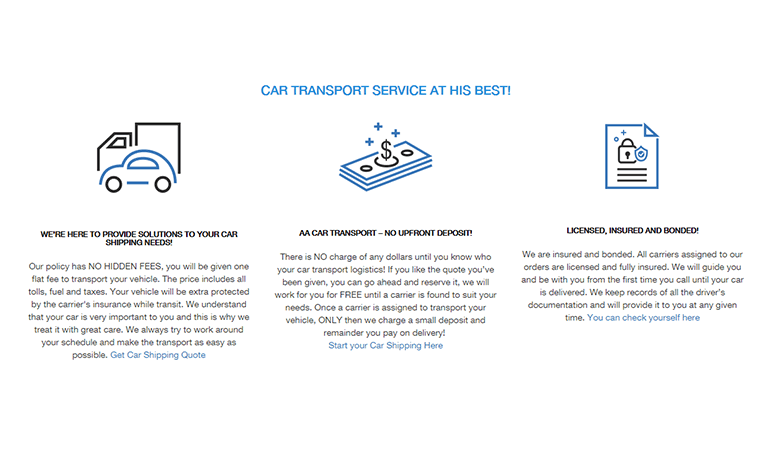 A custom plugin was built to meet all of the client's requirements. WP Globus plugin was built to ensure multilingualism. 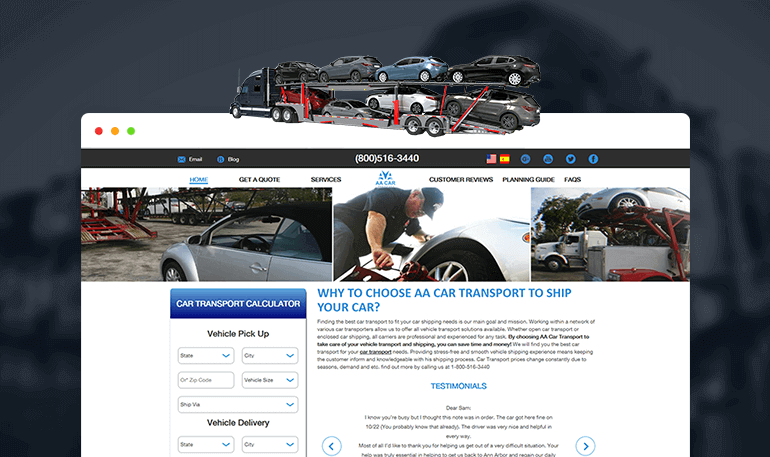 AA Car Transport- best car transport services to fit your car shipping needs.